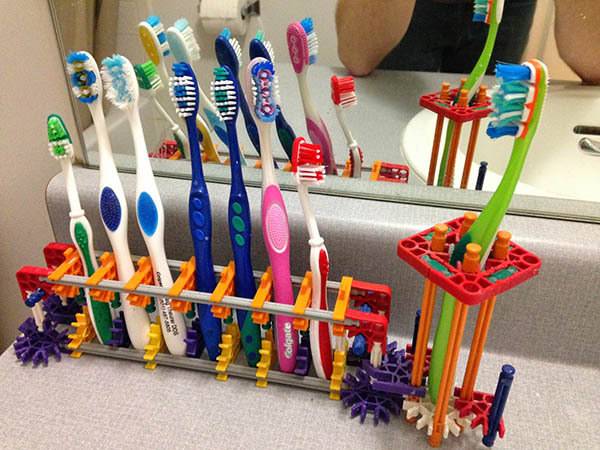 DIY a toothbrush holder out of your kid’s favorite toy. A great idea for cool kids bathroom. You may use k’nex toys or lego.